Here's a watch I made using a Shawnimals Wee Ninja charm I got for like $2 at Robot Love. I bought the watch to match and just happened to have a red bead. 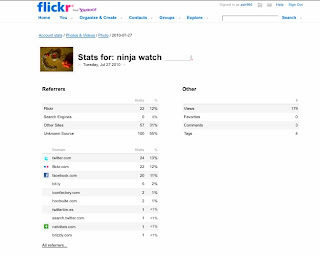 Oh Flickr stats, how you feed my ego!